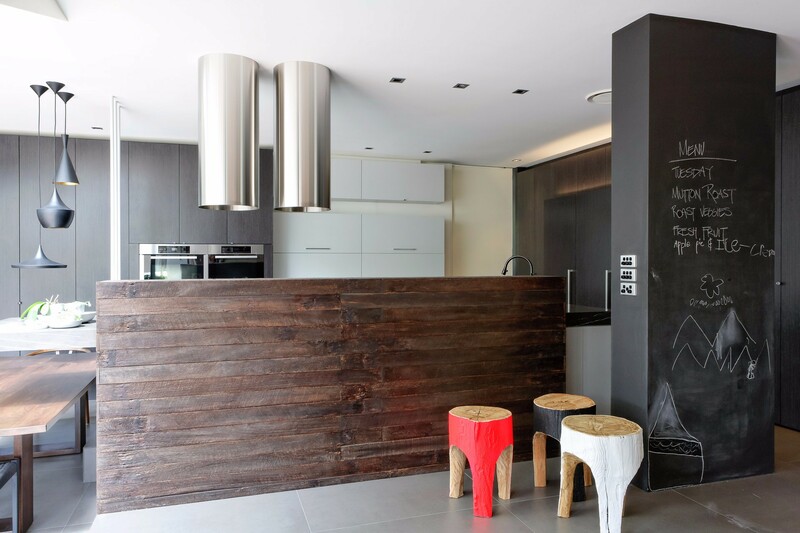 The original small kitchen in this residence was creatively redesigned to become the entertaining hub and showpiece of this home. 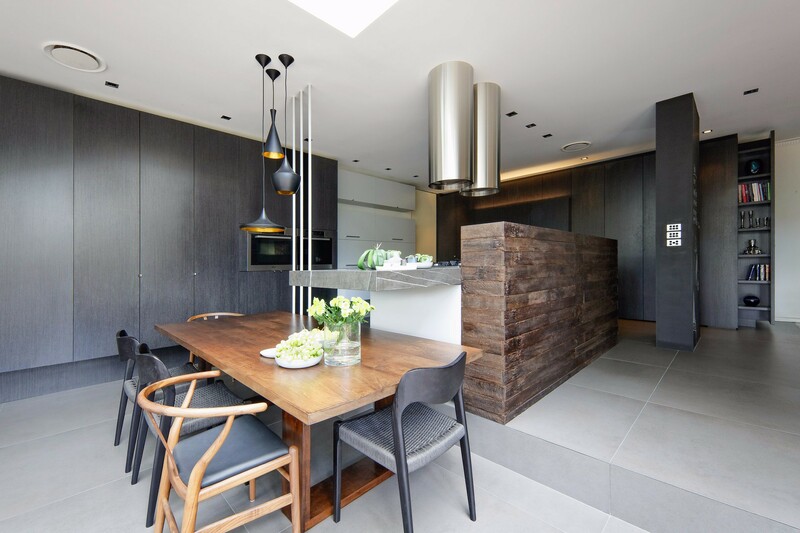 The existing space and adjoining walls were stripped out. 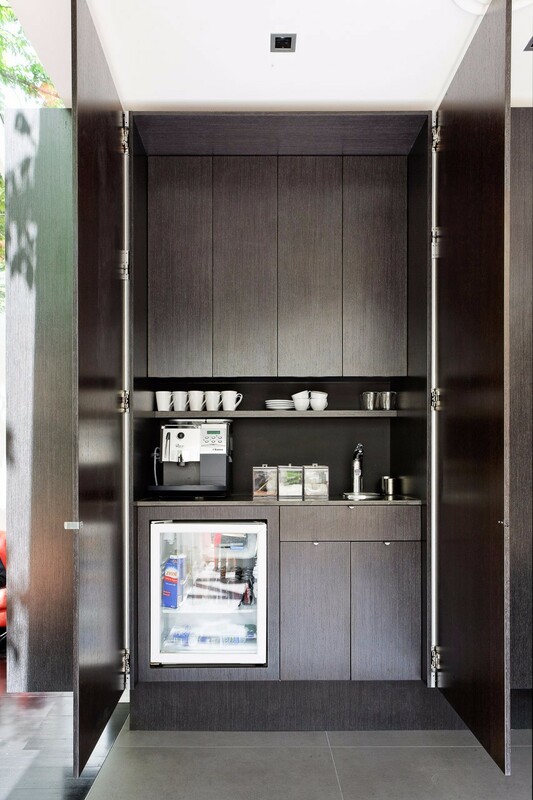 The cutting-edge open plan transformation includes a dedicated café area, scullery, and baking zone. 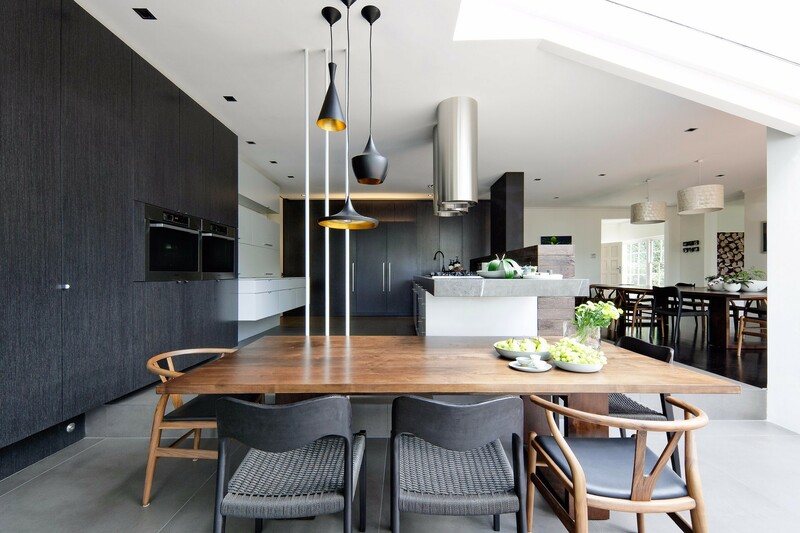 The large island bench with an overhead cylindrical Quasair range-hood is the kitchen’s focal point. 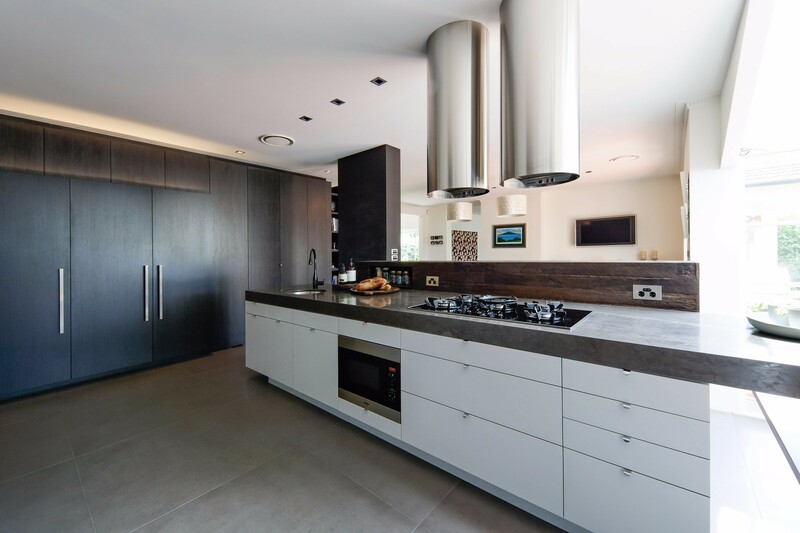 Luxury finishes include the use of large format floor tiles with underfloor heating, fine timber veneers with shadowlines, integrated appliances, recycled timbers, Corian surfaces, Starfire glass and Blumotion hardware. 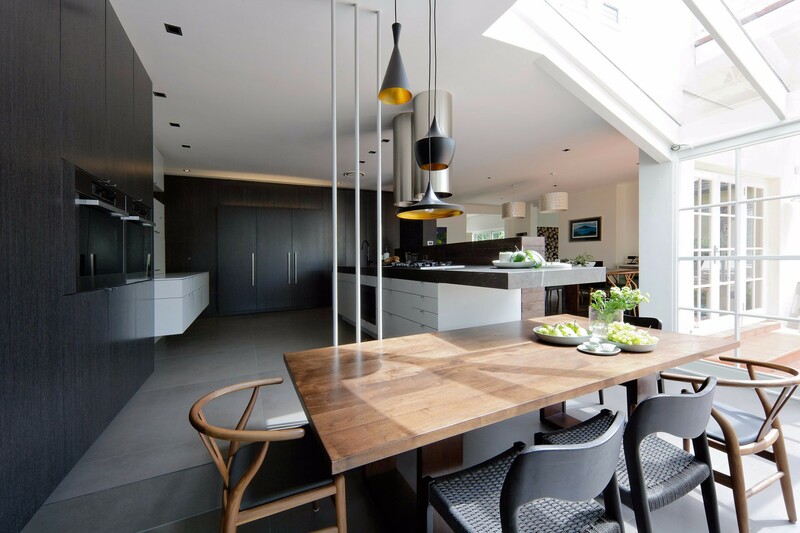 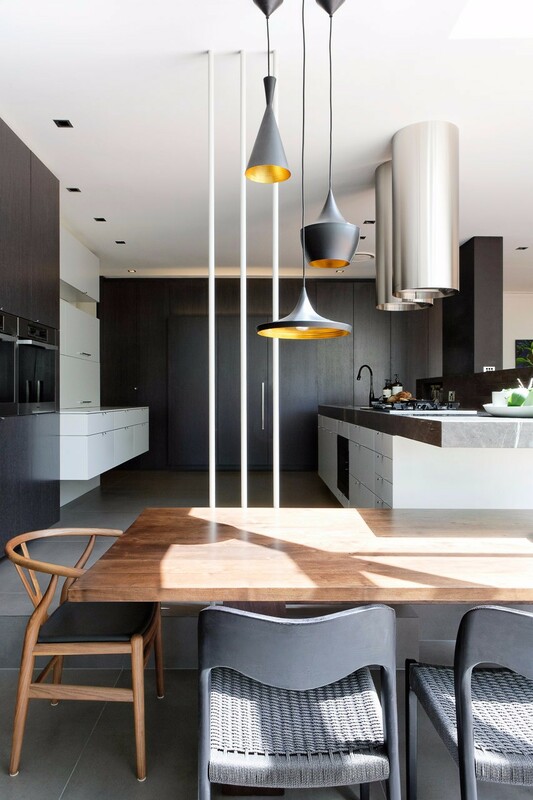 The use of contemporary materials in the design ensures the kitchen is the centrepiece of this luxurious family home.